While still in high school, Tovar Cerulli experimented with vegetarianism and by the age of twenty, he was a vegan. Ten years later, in the face of declining health, he would find himself picking up a rifle and heading into the woods. 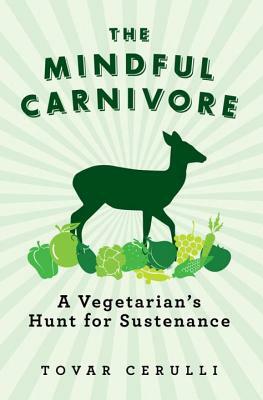 Through his personal quest, Tovar Cerulli bridges disparate worldviews and questions moral certainties, challenging both the behavior of many hunters and the illusion of blamelessness maintained by many vegetarians. In this time of intensifying concern over ecological degradation, how do we make peace with the fact that, even in growing organic vegetables, life is sustained by death? Drawing on personal anecdotes, philosophy, history and religion, Cerulli shows how America's overly sanitized habits of consumption and disconnection with our food have resulted in so many of the health and environmental crises we now face.